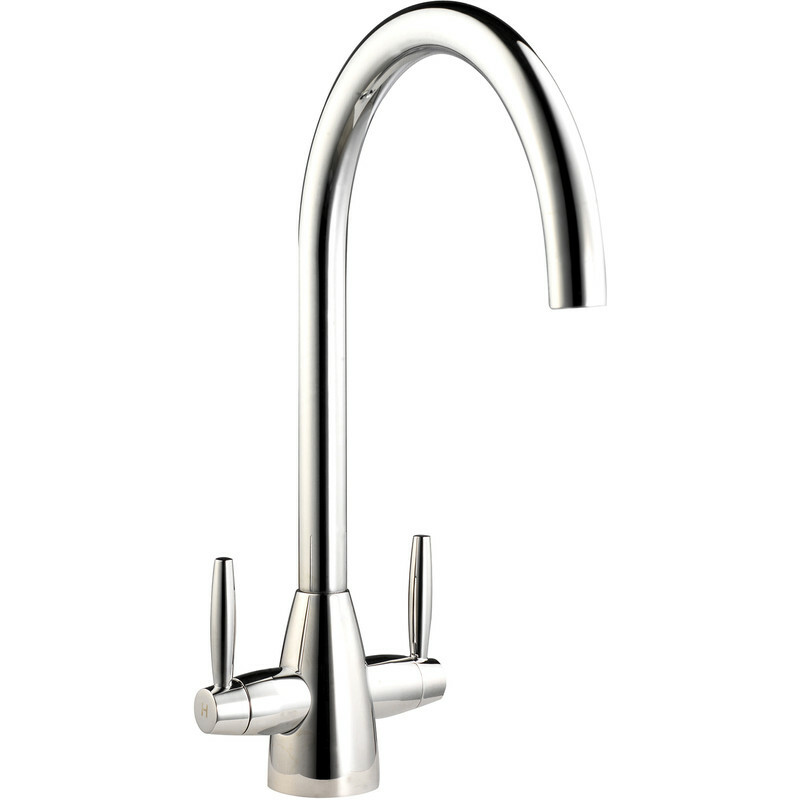 Kitchen Sink Mono Mixer Tap Chrome is rated 4.5 out of 5 by 4. Rated 5 out of 5 by Rob1060 from Nice mixer tap for the money Replaced the kitchen sink and needed a new tap to match. Purchased two online from different (e-bay) company's, both arrived and separately and were not the ones I ordered. Found this similar mixer tap at Toolstation, although more expensive than the online ones, at least I could see what I was purchasing, therefore no problems or worries about having to return the product. Looks great on the new sink, easy to install with new flexi pipes and even a plastic socket to tighten the securing nut! Highly recommended. Rated 5 out of 5 by Dirus Strictus from Very Good Value Being a pensioner, I wanted good quality at a sensible price. As always, Toolstation provided the service - value and speed of delivery. The good quality tails allowed me to do a very quick swap over. Rated 4 out of 5 by Basils from Good Product - No details or instructions! Product very good but needed to include fixing instructions for basic DIY'ers, especially as there was a non return valve included - why? (being a non plumber). Rated 4 out of 5 by AustinB from New in use but looking good The 25cm flexibles supplied were a tad short so that a modification to my pipework was needed - no local suppliers carried 50cm flexibles. That apart - everything supplied even including the box spanner. No instructions but it all works well and the levers are very light to operate.